She married Judge Oliver H. P. Shiras. Elizabeth was born on 26 July 1834. Elizabeth died on 11 August 1885 at age 51. He married Elizabeth Ruth Mitchell. Judge died. Judge was born. Ellen died. Ellen was born on 17 March 1839. He married Mary Harris. William was born on 29 October 1836. William died on 24 April 1881 at age 44. 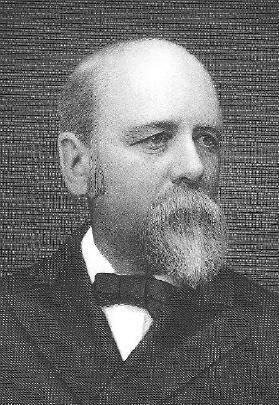 William Kempe Mitchell , Jr.
She married William Kempe Mitchell. Mary died. Mary was born. She married Frederick Doolittle. Anna was born on 15 December 1841. Anna died on 16 March 1900 at age 58. He married Anna Harriet Mitchell. Frederick died. Frederick was born. Catherine died. Catherine was born. Virginia died. Virginia was born. Alice died. Alice was born. She married Lewis Dorsey. He married Alice Mitchell. Lewis died. Lewis was born. Oliver died. Oliver was born. Carl died. Carl was born. Nathaniel died. Nathaniel was born at Yorktown, Virginia. He married Elizabeth Tabb, daughter of William Tabb and Frances Y. Gray. She married George Elliott. Amanda Malvina Keaton married John Tabb, son of William Tabb and Frances Y. Gray. Amanda was born on 15 April 1817. Amanda died on 11 February 1886 at age 68. Her body was interred after 11 February 1886 at Hampton, Virginia, at St. John's Episcopal Church. Virginia died. Virginia was born. She married Mallory Bates. He married Virginia Taylor. Mallory died. Mallory was born. He married Martha Jane West. William was born at Virginia in 1842.1 He married Mary Amidon at Henrico County, Virginia, on 15 January 1863.2 William died in December 1904. His body was interred on 26 December 1904 at Baltimore, Baltimore County, Maryland, at Mt. Olivet Cemetery. Lot 102-A..
[S418] Source: Virginia Magazine of History, Vol. II, page 108. [S444] Source: E-mail message from Jodell McVey to Jeanette Probst Tabb dated 11 April 1999, Subject: Amidons. [S76] Area EE, Lot 17. [S1085] Mason - Tabb Wedding, The New York Times.